In 2001, Mel received a BA in Studio Art from Carleton College in Northfield, MN. 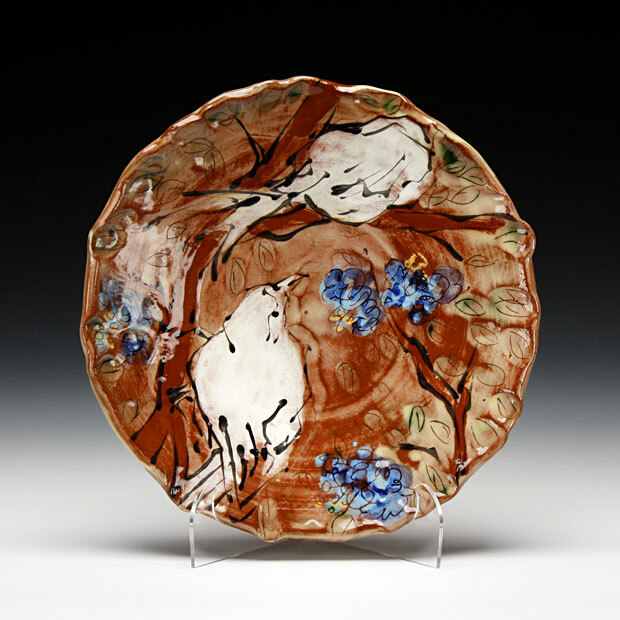 During this time she focused on drawing and painting, so in order to learn about ceramics, she completed a two year apprenticeship with Doug Browe and Jan Hoyman in Ukiah, CA. Mel earned an MFA came from the University of Minnesota, Twin Cities in 2011. The following year, she taught ceramics at the College of St. Benedict at St. Johns University in Collegeville, MN. Residencies include Millersville University in Pennsylvania, Medalta International in Medicine Hat, Alberta, and the Archie Bray Foundation in Helena, MT. Mel has received a number of awards for her work, including the LEAP Award from the Society for Contemporary Craft in Pittsburgh, PA in 2011, and the Emerging Artists Award, from the National Council for Education and the Ceramic Arts (NCECA) in 2014. From 2012 to 2014, I participated in a two-year residency program at the Archie Bray Foundation for Ceramic Arts. It didn't take long for me to decide to make Montana my permanent home; I love the community, the running trails, and most importantly, the wildlife. My studio is in the Scratchgravel Hills, a beautiful spot just north of Helena proper. This desert-like area is full of coyotes, jackrabbits, and prickly pear cactus.